In the Pacific Northwest, we know that “The Big One” – a long overdue massive earthquake – could come at any time. The recent Anchorage earthquake was a sobering reminder of that. So, we know we need preparedness kits at the ready. While we know that we need be ready to sustain ourselves for several days, the reality is only 39 percent of people (according to a FEMA survey) are prepared to do so. How do we get adults – people who already know what’s needed – to actually take action? Motivating behavior change might seem akin to corralling cats; however, it is more manageable when we apply the principles of educational theorist Malcolm Knowles. Knowles identified key characteristics that motivate adults to learn. They are the same traits or queries that communicators can call on to inspire action. Why do I need to learn this? What makes it relevant to me? Does it build on what I already know? Practical, tactical application is best. To gain our stakeholders’ attention, our message must be specifically relevant to them. If they don’t take action, what will the consequence be – to them? Is that significant enough to motivate action? 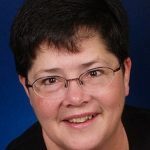 Once your stakeholders are on board, it’s essential to quickly hand over the oars. To use the example of preparing a disaster preparedness kit, ask the questions: how many people are in your family? How much food, water or toilet paper will they need for three to five days? How much cash will you need if the ATMs aren’t working? What about pets? Since your audience is both busy and distracted, effective communication can’t be one-and-done. A reminder is helpful. But the second time you bring it up, mix it up. Use new examples to make the message relevant. However, unlike ads that can be mind-numbingly repetitive, we must know when to say “when.” After all, we’re dealing with grown-ups. The bottom line? “Adults need to know why they need to learn something before undertaking to learn it.” -Malcolm Knowles. 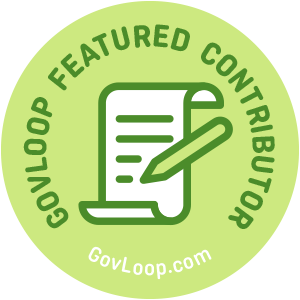 Amy Cloud is is part of the GovLoop Featured Contributor program, where we feature articles by government voices from all across the country (and world!). To see more Featured Contributor posts, click here. Corralling cats is a very apt metaphor–encouraging behavior change can be very challenging. Handing over the oars is also a great piece of advice–people are much more likely to be motivated if they feel ownership.